Home Culture Art Photoshopped sketch or photo? Photoshop work or photo? 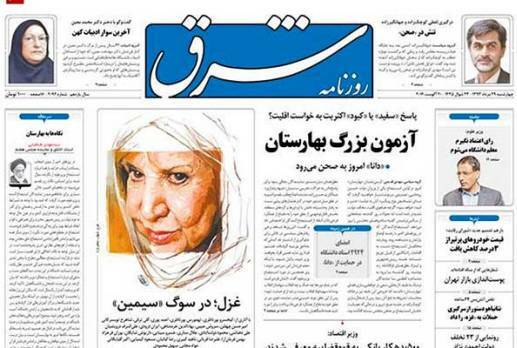 Which expression about the image that appeared on the front page of “Shargh” [East] Newspaper following the demise of prominent Iranian poet Simin Behbahani sounds to be right? The sketch artist is of the conviction that he is the creator of the artwork, whereas the photographer contends that since his photo played a vital role in the creation of the sketch and there was no mention of him, copyright laws have been violated. 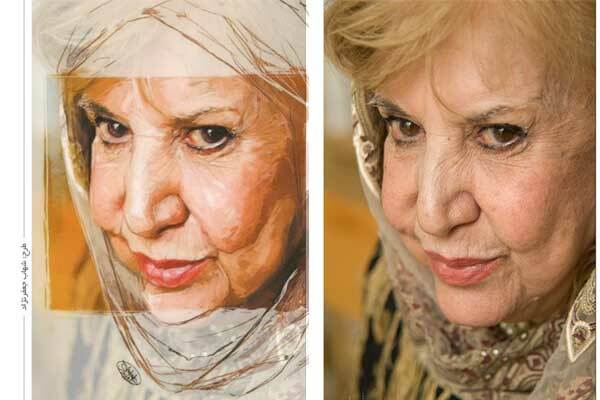 In response to comments by Ashournia about the image, Shahab Jafarnejad argued, “First of all, to draw a sketch of a person, the sketch artist needs to see that person. It’s impossible to draw a sketch from memory. Second, if the photographer assumes that I have tweaked the photo with Photoshop, I am ready to post the different layers of work online to let him know that he is mistaken.” He later put the layers of his Photoshop work on the page for the public to judge. […] Gradually the heated debate shifted to “To what extent one who has designed an artwork based on a photo can claim the right to its ownership?” The response to that question generated different and even contradicting comments. Maintaining his initial stance, Ashournia made an apology for his initial strongly-worded post. The debate, nonetheless, still rages as to whether the real creator of such artworks is the designer or the photographer. It seems the unresolved question can be addressed in an academic atmosphere where experts can work out a solution to defend the rights of the artwork creators.